Inside and out, it’s all about your body. That’s why Andrea uses both therapeutic massage and natural homemade skincare to bring balance to your body. 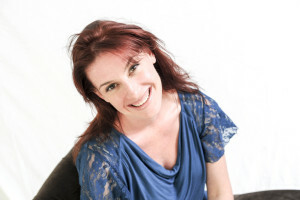 After ten years in the health and massage industry, Andrea has learned a lot about how to encourage the body to work at its best through regular bodywork. Over the last decade, she has worked with several elite athletes in the areas of cycling, football, golf, running, martial arts, swimming and triathlons. Andrea received her certification as a massage therapist in 2005 from the Institute of Conscious Bodywork in San Anselmo, California. Andrea then went for more advanced training in deep tissue, sports massage, reflexology, myofascial release among others. Andrea received her certification as an esthetician in 2002. She has begun to teach people about a natural way to healthy skin with homemade products that are free of chemicals. She brings this together so that you can be the very best you can be as you move through your day.